Gone is another year. Just like that all of my kids are a year older and I started getting grays. I had better just throw in the towel now huh? We celebrated the last birthday of the year with our little princess. She was touch and go in utero. I remember praying and praying for this little one. Well, God certainly knows what he is doing. She is the most active and "into everything" little child I have, and that's saying a lot since my first walked at nine months! But, each time I leave one room after just cleaning up a mess only to arrive in another room to clean up another of her messes, I remember how I was on my knees praying for her safe arrival. It's humbling each and every time. Since I can't say "no" to my last born, I also made her a pink pony castle cake. Here's to another year of staying up the night before drawing, digitizing, and stitching my kids' birthday shirts. Hats off to those of you who make a whole outfit. 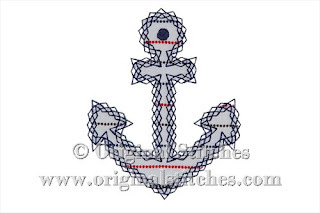 Use coupon code NEWYEAR2013 to receive 50% off of your entire order (12/31/12 - 1/1/13) at www.originalstitches.com! P.S. I'm sorry only one has been fully tested and made available to you. I promise to get the other listed this year......sometime. If you haven't already. Head on over to our website to download the free snowflake ornament design. Here is a little in the hoop design for you to play with. The 4x4 file stitches one snowflake ornament. If you'd like to do more than one at a time, the 5x7 file stitches two snowflake ornaments. Hoop your water soluble stabilizer, tear away stabilizer, or matching color stabilizer. The first stitch pack is your placement line. I forgot I was taking pictures for instructions and used white. Trust me, the placement line is there. If you want to use ribbon, position your ribbon over the line using clear tape or adhesive spray. Place your felt (I wanted to go frayed so I used flannel) over the ribbon and placement line. And run your decorative stitching. There are stops to change colors. I just really wanted all gray right now. When your decorative stitching is finished. Turn your hoop OVER. Place your covering fabric on the BACK side of the hoop using adhesive spray to hold in place. 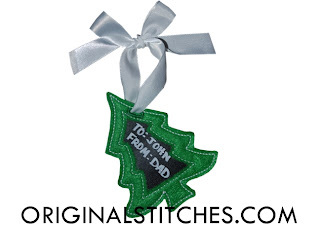 Remove from your hoop and cut out your ornament. If you used ribbon, remember to carefully trim! 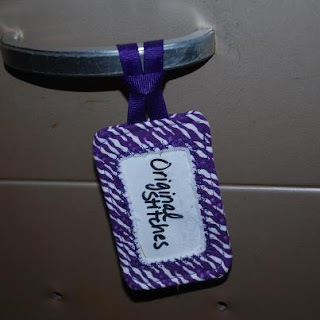 Some time ago I had this great idea to make in the hoop reusable luggage tags. I think they turned out well. However, I cannot get my directions clear enough and need to take more pictures. Yes, I do NOT release files that aren't clear enough to be stitched. The above also had a felt version that IS simple. 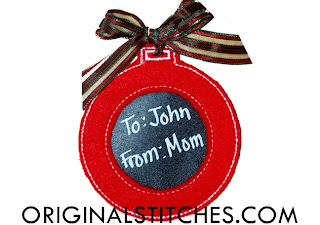 Simple enough to change from a luggage tag to a reusable gift tag. And they are coming out in cute new shapes for all occasions. 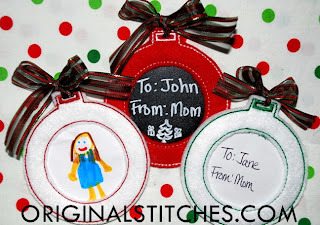 These instructions contain photo instructions on how to make the gift tags with chalk fabric, a photo (or hand drawn picture) or with vinyl. But the possibilities don't stop there. Think outside of the box!! Take our new Reusable Heart Gift Tag. Attach this to your gift on Feb 14th. But maybe you need something for a classroom? When stitching out the final tackdown, add an extra piece of felt to the back. You can use this pocket to add a piece of candy or if you are being healthy, a piece of chalk! Flip the way direction of the felt and you have sucker covers. Now, while I have chalk in my house (4 kids, we have chalk! ), I love the crispness of chalk markers. I checked our local Micheal's and they didn't have any but they directed me to Staples. They had neon markers that would have worked, but I really wanted chalk! I asked at the counter if they carried them and they said they could order one! Free shipping to the store and it was there within two days. I'm not sure what stores near you carry them, but it never hurts to ask!